Sony India, a leader in digital imaging solutionstoday introduced the new G Master brand of interchangeable lens today. The innovative addition furtherproliferates its robust product lineup that effectively responds to the diverse needs of photography enthusiasts. Representing the ultimate blend of high resolution and beautiful bokeh, Sony India today introducedits flagship G Master™ brand of interchangeable lenses. 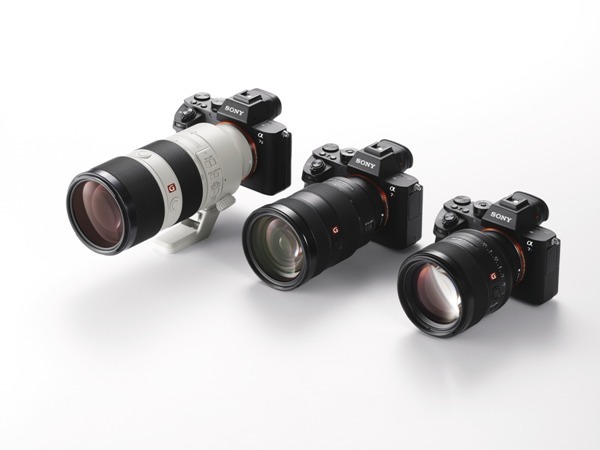 The new brandincludes three new E-mount full frame lenses including a 24-70mm constant F2.8 standard zoom, an 85mm F1.4 prime and a 70-200mm constant F2.8 telephoto zoom. The new lenses feature Sony’s innovative optical element technology, design and calibration. This allows them to produce still image and video content with a level of detail and expression that has never before been possible. Featuring some of the most advanced lens technologies in the market today, the new FE 24-70mm F2.8 GM (model SEL2470GM) is the ultimate choice for those seeking the highest possible optical performance for portrait, travel and event photography or even simple everyday shooting. The new lens is built with three aspherical elements including a newly developed, extremely precise XA (extreme aspherical) element that reduces aberration and delivers the ultimate resolution throughout the entire zoom range and aperture range, as well as from corner to corner of all image files. Additionally, an ED (Extra-low-Dispersion) glass element and Super ED glass element keep chromatic aberration to a minimum while maximising resolution and bokeh without any unnatural coloration. Covering the frequently used 70-200mm focal range, the new FE 70-200mm F2.8 GM OSS telephoto zoom lens (model SEL70200GM) offers extremely high rendering, AF performance and image stabilisation, makes it a versatile choice for shooting wildlife, sports, weddings and a variety of other events and locations1. The newly launched products will be available in selected Sony Center, Alpha flagship stores and major electronic stores across India. A software update may be required to provide compatibility of lenses with some cameras. See the Sony support site http://www.sony-asia.com/section/supportfor additional details. Limitations apply to AF operation when shooting movies with certain camera bodies.A software update may be required to provide AF compatibility of FE 85mm F1.4 GM with some cameras during movie shooting. See the Sony support site for lens/body compatibility details. SEL70200GM is the only compatible lens at the time of announcement.